Breccia rock is large grained clastic sedimentary rocks. 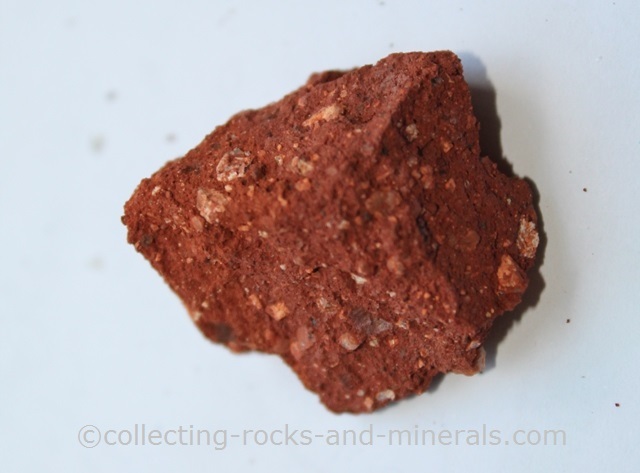 It is coarse grained like conglomerates, but unlike conglomerates its grains are not rounded but angular. This means that there hasn't been much transportation - this rock has been deposited not far from where it was eroded or broken off other rock. They can form where the the fragments have been broken off - and cemented right at that place. They can also form where there has been rock fall - the fallen rocks accumulate and may become cemented. They can also form along active fault lines, where newly broken rock can be cemented, even if it happens under water. Any minerals and chemicals can be involved. Like conglomerate and pegmatite, breccia is a term that refers to the texture of the rock and not to chemical or mineralogical composition.